Her plans to arrive in Cornwall looking chic and successful are dashed when a huge storm turns her from fashion goddess to a drowned rat. 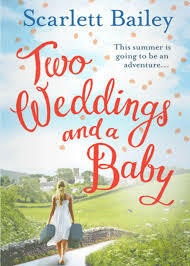 Worse, she ends up insulting the local hunky vicar – and then finds a tiny baby abandoned in his churchyard. If you have not read Just For Christmas yet, I would recommend you read this first. Then the story will make sense. I really loved being back in Poledore again. I read ”Just for Christmas” and couldn’t wait to read this. It took me a couple of chapters to warm to Tamsyn but that certainly changed the further into the book I got.